For Hanoia’s first showroom space to open in Saigon, the group continues their design collaboration with G8A presenting a multi-level concept store that guides the visitor through a series of sequences. A tale being told of the creative exploration and technical process of their specialty lacquerware. Upon arrival, the visitor is greeted with an aesthetic that embodies the brand’s contemporary Vietnamese design, a modern twist on traditional craftmanship. 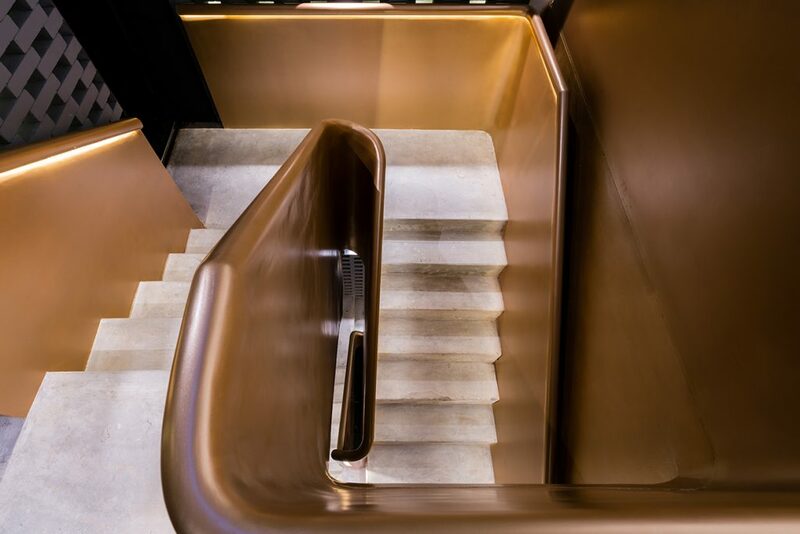 The initial welcoming area presents their staple collection of luxury lacquer homewares and accessories with an open vertical chasm that guides the view to the upper level punctuated with small illuminated display platforms. 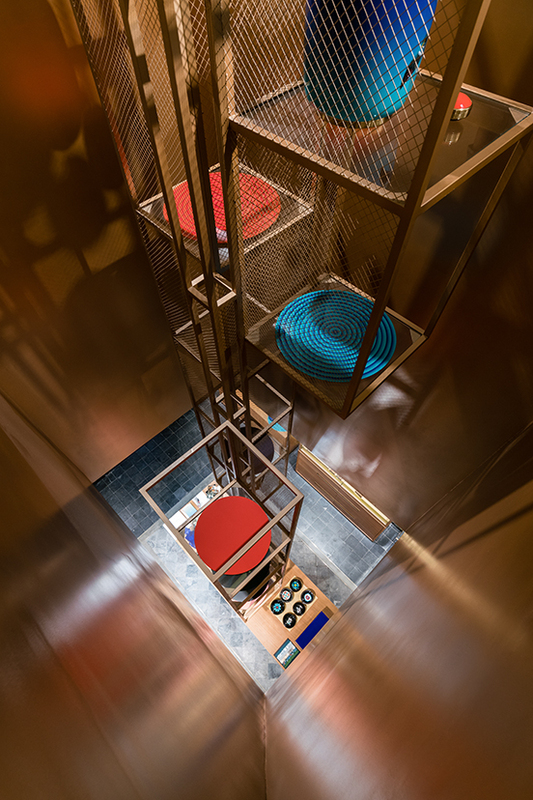 The visitor is invited to meander upstairs following the feature stairwell and is brought to the “museum” room where a small cinema set-up presents educational videos describing the origins and process of lacquer production. 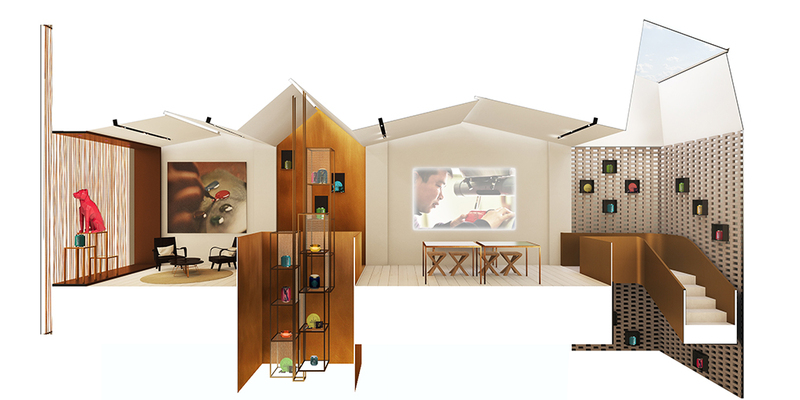 Proceeding, the customer enters the workshop space where the ambience of invention completes the brand’s philosophy. Here new collections are displayed, and the concept of contemporary design innovation is reiterated with a creative atelier environment. Finally, the visitor arrives at the end destination, a relaxed lounge environment with open view out onto the urban landscape where they can feel free to pause in comfort above the bustling city. 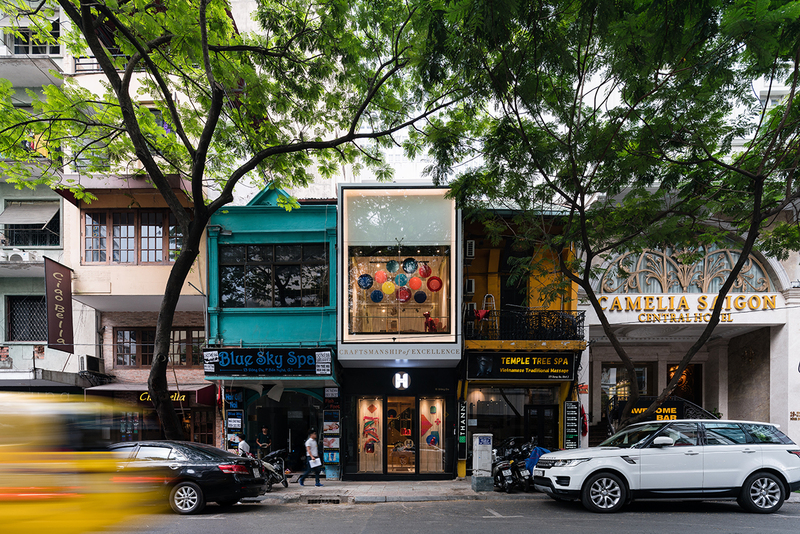 Hanoia Saigon is the latest project that represents a continued collaboration with G8A, having previously designed the flagship Hanoia House store in 2016 & the Hanoia Metropole space opened earlier in 2018.